If you really want to lose belly fat as you work hard to build lean muscle mass, you must reduce your food intake to cause a slight calorie deficit each week, and you must integrate interval training workouts into your program. Sadly, most guys are extremely resistant to these critical elements that can only benefit them. * The main reason guys are oppositional is because they know they will lose size when they cut calories. * Get over it! Are you telling me you want to look soft and big, instead of hard, tight, and athletic? You have got to be kidding. * Establishing a calorie deficit means you CANNOT eat whatever you want. You must start eating like a professional or Olympic athlete. No more sugar foods, oily foods, processed foods, protein shakes or smoothies. * Strength building workouts that are brief, intense, and tough will be the name of the game. Squats and deadlifts must become your gym buddies. * Cardio must become a daily habit. Twice a week will be devoted to intense interval routines. Remember sprints in high school sports? Professional athletes live by interval training. Trust me, guys in the NFL hate running 200's and 400's in the off-season...but they know their paycheck depends on their body. This is why they look so ripped. 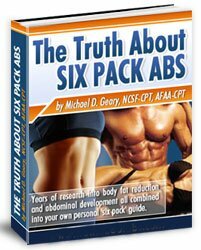 * It will take several months to get down to the body fat percentage you want. Once there, you can start working to get bigger muscles. However, you MUST get the fat off first. Weight lifting for fat loss will definitely work, but it must be combined with conscious eating, strength training, and interval workouts. You will find that more mental, than physical toughness, is actually needed. Why do chicks find the "Lean Hollywood Look" so appealing in men?